Designed with a classic, understated style, whilst still retaining the iconic and recognisable iconography of the TARDIS, as well as the multicoloured lines featured on the 13th Doctor’s costume. 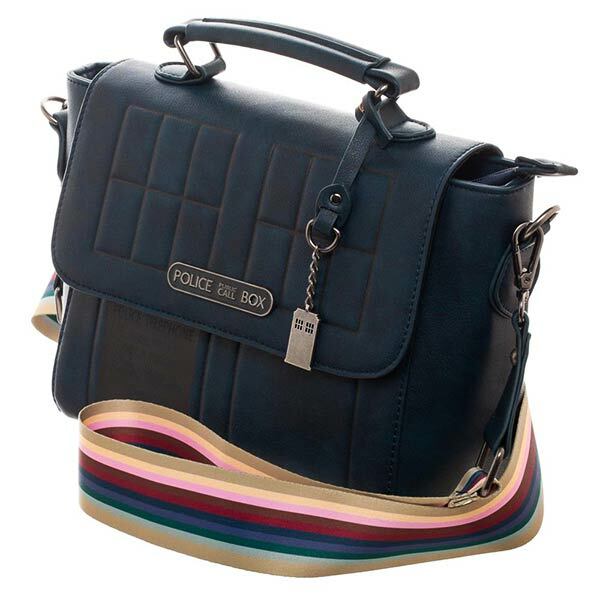 Sturdy multicoloured shoulder strap, inspired by The Doctor’s new costume. ‘stock is due early October to coincide with the launch of season 11’ I’d say that’s basically official confirmation. That would be season 12 not 11. My original comment was added in 2018 when we were speculating the start date for series 11.